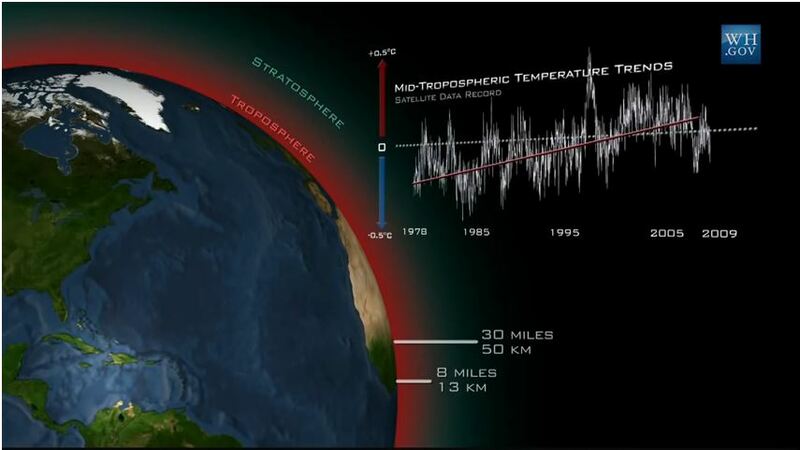 He then goes on to present evidence, like this plot of mid-tropospheric temperature, which looks like it is from UAH/Dr. Roy Spencer, though no citation is given in the video. The funny part? Watch these two guys blow the glossy WH take on this visual out of the water with just a ruler and some common sense.